There are many connections between armed conflict and the environment. GRIP’s work focuses on two complementary approaches. The first covers the impact of climate change and environmental and resource issues on collective security. Faced with these new threats, which will probably have a growing impact on international relations in the future, GRIP finds that security strategies tend to favour defensive and military responses to protect vested interests and the dominant economic and social model to the detriment of more courageous environmental, socio-economic and development aid policies. 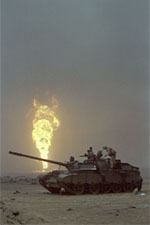 The second approach examines the impact of military and security action on the environment and the climate using a more traditional framework: the environmental impact of armies in peace time; the environmental impact of armed conflict (pollution, the problem of depleted uranium tipped weapons, etc); and the impact of systems specifically designed to modify the climate and the environment (monitoring the 1976 ENMOD Convention). 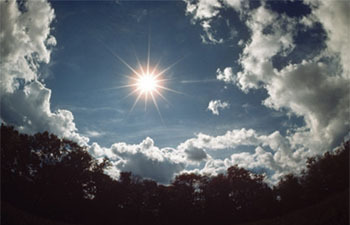 Some technological innovations, experiments, or scientific research – including “HAARP”, a research program on the properties of the ionosphere conducted in Alaska by the U.S. Department of Defense – have recently helped to revive concerns about the military uses of the environment, especially the techniques of weather modifications. However, a Convention of 1976, the so-called and largely unknown “ENMOD Convention”, explicitly prohibits the use of the environment for military purposes. The last review conference of the ENMOD Convention dates back to 1992. In the absence of a rapid revival of a review process aimed at correcting the shortcomings and taking into account recent technological advances, the ENMOD Convention may fall permanently into disuse, opening the field to the worst scenarios. The final destination and end use of weapons are two sides of the same coin – ensuring that arms are actually delivered to the people who ordered them and not siphoned off for use by others, and do not escape controls in order to be re-exported. A trend is emerging for contractors to take responsibility in this domain. Agreements with international scope recommend that responsible arms sales should closely respect the principles of international humanitarian law, but these principles are restricted by the lack of international consensus on their scope of application, whether they should be binding, and the equipment they cover.